The road trip movie is a staple of American movie making, the country’s wide open highways and variety of physical locations often providing a vivid backdrop for what is usually a journey of self-discovery. 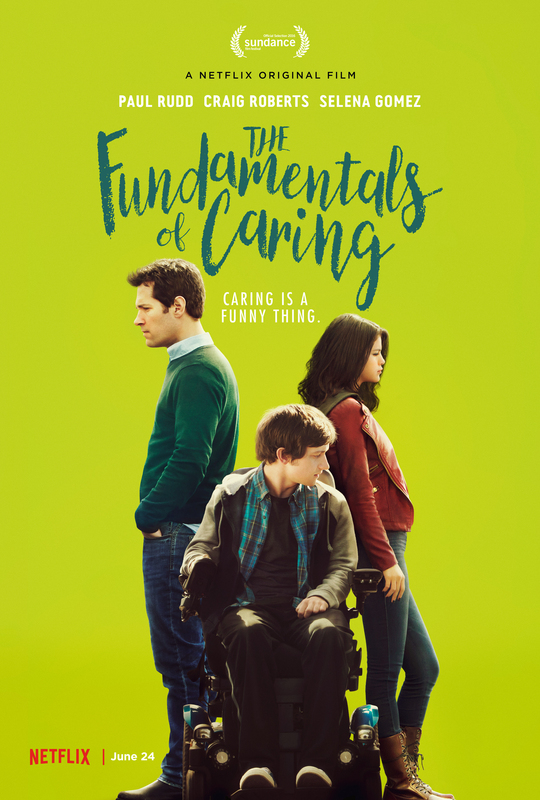 Adapted from the novel, The Revised Fundamentals of Caregiving by Jonathan Evison, this is yet another movie that takes that basic set up and offers a mix of heartfelt drama and sprightly humour as it plays out its simple storyline. This is a straightforward, no frills, no surprises feature that ticks all the boxes dramatically and comedically for this kind of movie, but which does so in such an inoffensive, pedestrian, but likeable manner that it’s hard not to approve of it, even though a lot of the time you’ll be wondering, Is this it? At first, Ben is out of his depth, but soon becomes adept at caring for Trevor, while Trevor’s initial snarky behaviour (and practical jokes) soon transforms into a respect for Ben that he hasn’t shown toward any of his previous carers. So far, so predictable then, but it’s the lightness of Burnett’s direction, and the relaxed performances of Rudd and Roberts that help offset any criticism. For once, a movie’s benign approach to the material makes it all the more enjoyable. That’s not to say that it doesn’t address some serious issues along the way, because it does. 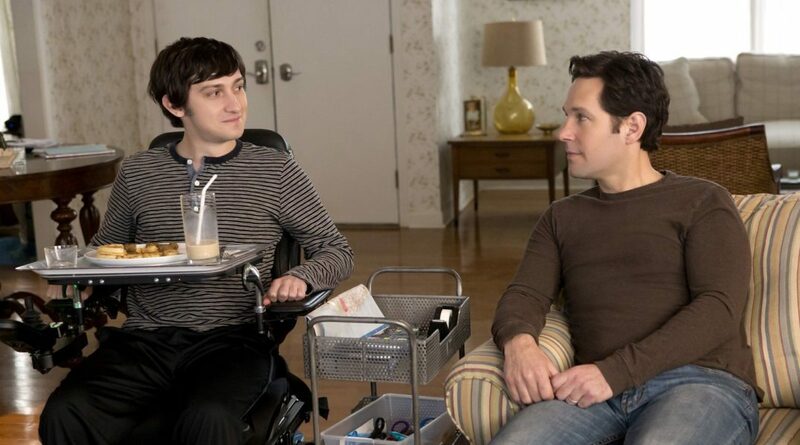 Ben has a tragic past that is affecting his divorce; Trevor wants to resolve the emotional issues he has surrounding his father (who left when he was diagnosed at the age of three); Dot has her own father issues; and there are minor shout outs to the quality of disabled access at roadside attractions, depression, self-imposed guilt, and betrayal. But again, this isn’t a heavy drama, rather it’s a movie that makes its points with a laidback approach that suits the material and which is content to explore these matters with a restraint that underscores the characters’ emotional states throughout, and with a subtlety that’s refreshing. That old phrase, Less Is More, applies here, even when the material does thin out alarmingly in places, but it always slips back on track, thanks to the solid work of its cast, Burnett’s sense of rhythm and pace, and evocative camerawork by DoP Giles Nuttgens. 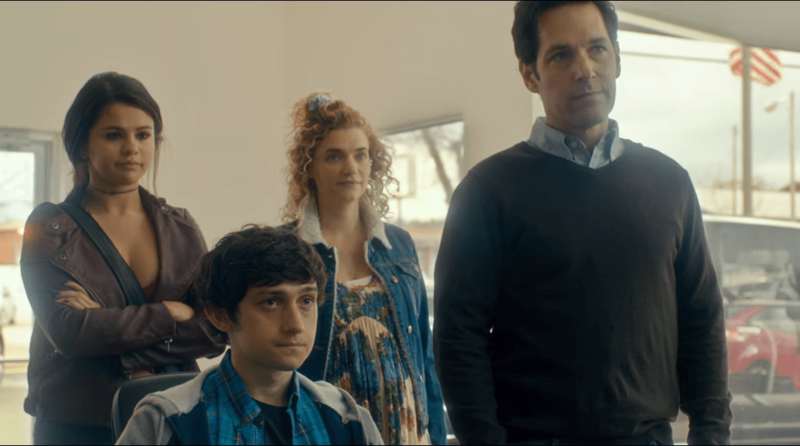 The whole thing ends on a perfect coda, as well, one that will viewers away feeling good about the movie and having seen it in the first place. And what more could you ask for…? Rating: 7/10 – anyone expecting a movie with the kind of depth that the World’s Deepest Pit might be a metaphor for, will find The Fundamentals of Caring to be anything but; however, it’s a lovely movie full of bright moments and with good intentions, and though you can accuse it of being slight and innocuous, on this occasion, these are actually strengths that make the movie more than it seems at first glance.